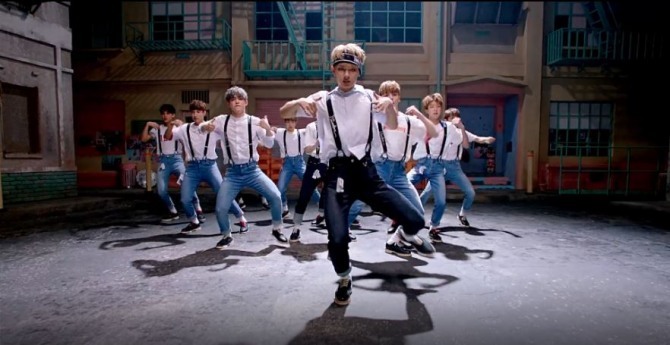 Boy band Seventeen released the music video for its song “Very Nice” on Naver’s V app on Monday. 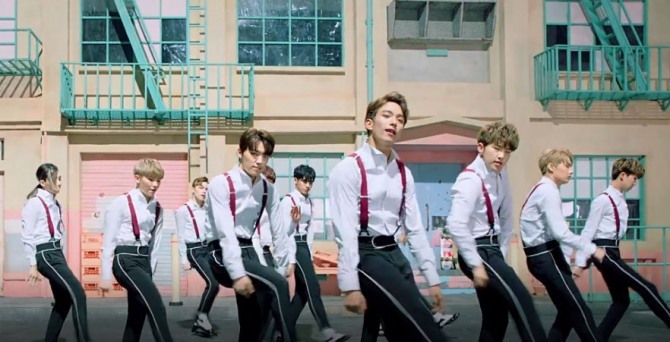 Within less than a day of its release, Seventeen has already managed to get over a million “hearts” on the app for the music video, which features the K-pop group’s members wearing suspenders over white shirts while dancing to the retro, upbeat song. They boast well-coordinated moves.